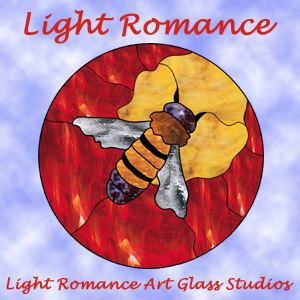 Light Romance is an eclectic collection designed to keep you busy with new, original, and exciting stained glass panels and suncatchers. From lotus flowers to a Sahara patriarch, from a stylish cat with a bow to a hang-glider -- Gothic soldier, totem pole, Art Deco, Southwestern -- a little of everything! Some patterns are very simple, some are intricate, and most are somewhere in between.